For many, the iconic look to be continually associated with Manchester would be one which resembles a 90’s, Liam Gallagher-esque ensemble. Yet since becoming the global capital of fast-fashion and housing big money brands such as Boohoo, Nasty Gal, PrettyLittleThing, and Missguided, the city’s style has certainly entered a new chapter. Homing so many brands that depend upon and credit their success to the influencer marketing model has, in turn, created vast opportunities for eager fashion bloggers. This article compiles a list of our fashion influencers from our home town of Manchester who all comprise the city’s style and excitement to provide continual inspiration. @Ellenbrockygirl: Ellen is a Manchester-based fashion blogger, who loves to mix statement pieces alongside a continual laid-back, street style vibe. Often found mixing patterns with a trusty basic leather jacket, if you’re looking for a girl next door vibe then there’s no need to look any further. @Domain_Esdale: not only is he the co-founder of influential collective The Manchester Fashion Industry, Domain is worthy of mention for his continual commitment to cutting edge trends whilst still maintaining a level of sophistication. From on-trend smart-wear to casual streetwear, if you’re a guy looking for refined style inspiration for every occasion, we’ve found the perfect fashion blogger for you! @Mossonyi: from a cute pink corduroy suit paired with the latest Chloeé bag, there’s never a dull moment on the Instagram of Mossonyi. Looking through the ‘gram with a pink shaded hue, be prepared for a dose of wanderlust which may appear too nice to be taken on the drizzly streets of Manchester! @DavidJamesseed: Tired of seeing fashion bloggers in their latest designer ensemble? For many, when you think of a fashion blogger, your first thought might be someone who is dressed from label to label with an unattainable price tag. This is where David is a breath of fresh air in a deeply saturated and predictable industry. His ‘niche’ and signature feature is finding affordable brands that everyone can not only draw inspiration from but also actually afford. @LydiaJanetomlinson: Founder of The Millennial Girls Guide, Youtuber, and all-around fashion guru Lydia exudes sophistication. 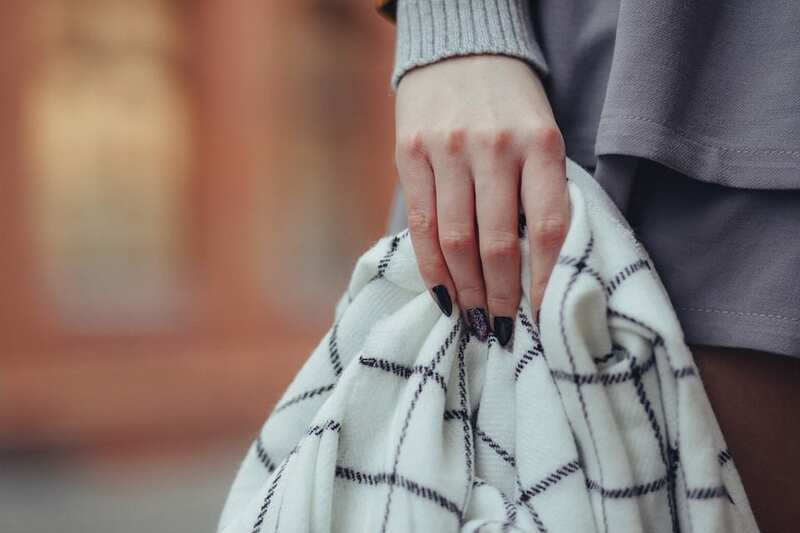 Although favouring more exclusive designer labels with a handbag collection to die for, Lydia collaborates with many fast fashion brands to provide easily replicable looks and everyday styling tips. @FreyaFarrington: Self-confessed ‘lover of neutrals’, this Manchester blogger has quite possibly one of the most aesthetically pleasing Instagrams out there. Favouring basics over labels, Freya will have you wondering how she keeps her whites so clean and effortless! Something that isn’t so possible with University standard washing machines. @Becwatkinson: Think matrix style mini glasses, hoodies and oversized jackets. Bec is fashion-forward and mixes fast-fashion brands with designer accessories making her look lustworthy on a budget. @Whatemmadid: last but certainly no means least, this lady oozes sophistication, class and has possibly the sleekest hair in Manchester. A Youtuber, Blogger, and Bridal Makeup Artist, Emma is the epitome of fashion and beauty.